Dr. Elsbeth van der Wilt is a Dahlem Research School POINT fellow at the Freie Universität Berlin. The (long) title of her project is “Long-distance trade, monetization, marketplaces, and sanctuaries in the fourth century BC: Negotiating change in Egypt during the Achaemenid-Hellenistic transition”. Van der Wilt’s research on metrological equivalencies at the ANS will feed into her work in Berlin. She is currently preparing the publication of the lead weights from Thonis-Heracleion, which was part of her doctorate on the lead objects from this site at the University of Oxford (2014). For my ANS project I am looking at a metrological problem: the equivalencies in the written sources between the Egyptian weight system—the deben of c. 91 g and kite of 9.1 g as measures of value—and the Attic monetary system. 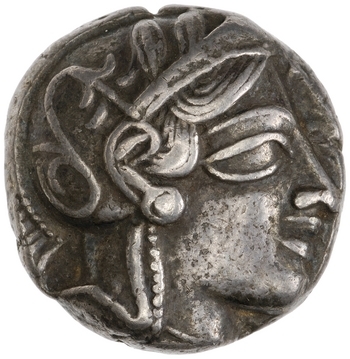 The “stater” in the Egyptian and Aramaic texts is understood as an Attic tetradrachm, which became the most prevalent coin in Egypt in the fifth century and remained so in the fourth century BCE. 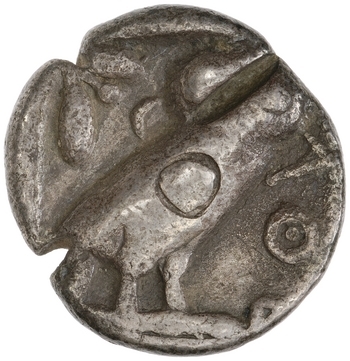 In Aramaic texts a stater is equated to two Babylonian shekel (8.4 g), in demotic it is one stater to 2 kite. 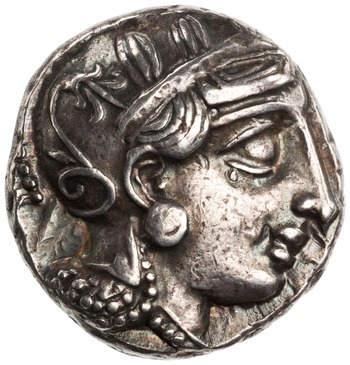 There is a margin of between 5–6% from the tetradrachm, up to the Egyptian standard and less down to the Babylonian shekel. 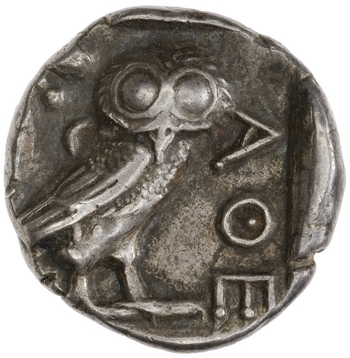 Several scholars have already noted this difference between the Egyptian and Attic systems and suggested that the overvaluation of the tetradrachm over silver bullion, i.e., the deben, could be interpreted as seigniorage: necessary to cover the cost (and profit) of the minting of imitative owls in Egypt, by the temple of Ptah, for example. 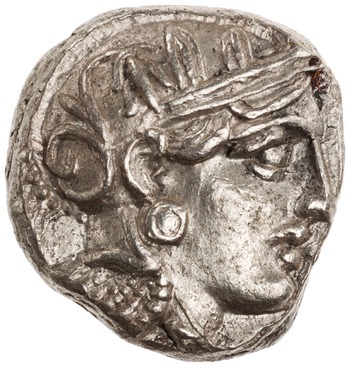 In fact, this percentage is very similar to the value of Athenian tetradrachms compared to bullion in Athens itself. I am collecting the weights of different groups of Athenian owls in order to see whether there is any weight adjustment. 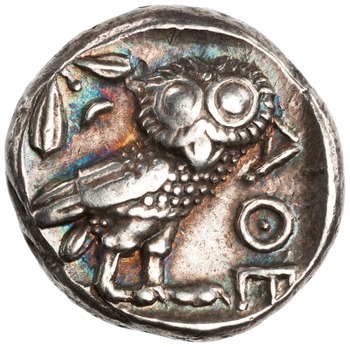 In particular, I am interested in the unmarked owls that the American numismatist Th. Buttrey argued were imitations (Figs. 1–3). Since then, the Belgian scholar Chr. 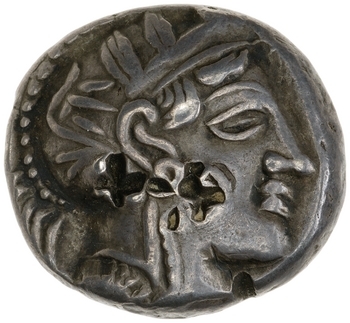 Flament clarifies the description of the styles of these coins. However, Flament and others have also argued that these coins were in fact minted in Athens, not Egypt. 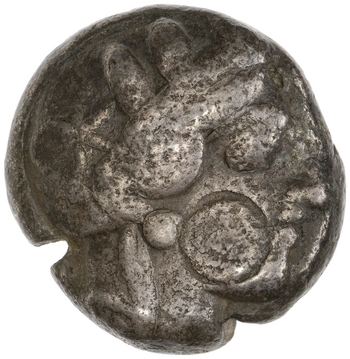 Flament suggests on the basis of metallic composition of the coins and the distribution of them in hoards for an Athenian origin of the metal and an earlier re-dating (of two styles, B and M). L. Anderson and P. van Alfen point out that there are in fact multiple scenarios that can explain the results of the metallic analyses of these coins. 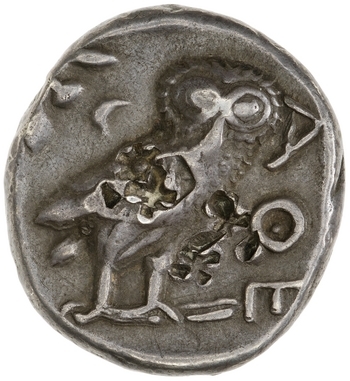 Furthermore, they also do not agree with Flament that the unusual style of the coins are due to poorer die-cutters in difficult times, arguing with reference to other marked Egyptian imitative coins that they could equally be non-Athenian. J. H. Kroll has put forward a middle ground: for style X at least he suggests that the obverse and reverse dies were originally Athenian and exported abroad, where, later, the reverse dies (with the characteristic extended left foot, see Fig. 1) were imitated. Thus, currently there seems to be a conservative consensus that perhaps only Buttrey style “X” was Egyptian. 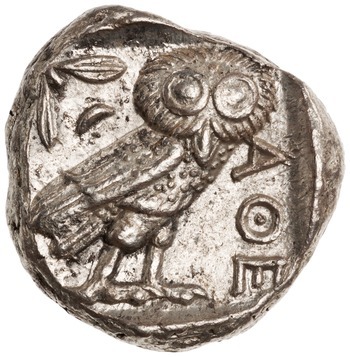 My contribution to this debate is to compare as many weights of the so-called Buttrey style imitations I can find, with weights of different groups such as bona fide 5th century owls, early 4th century owls (Fig. 4), and Pi-style owls (Fig. 5). I want to investigate a) whether or not there was any tinkering with the weights of the coins in order to facilitate conversion between the different standards; and b) whether the results can be used to further strengthen or preclude the Egyptian origin of these Athenian tetradrachms. Finally, I will place the Attic monetary system in Egyptian metrology in order to suggest an explanation for the popularity of the owls, and compare their position with the metrological situation in the Near East.